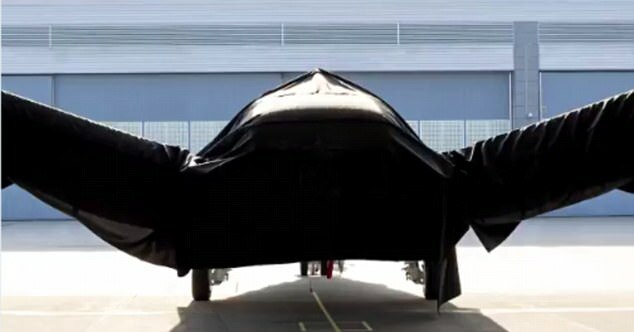 The craft, seen hidden under a cloth, is believed to be a radical new craft using electric 'hairdryer' to allow it to land and take off vertically. 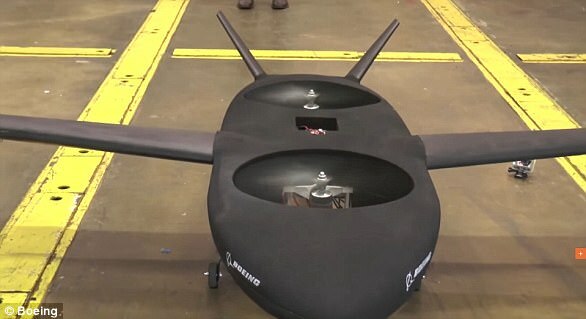 Boeing's Phantom Swift: The design leverages two large fans buried in the aircraft's fuselage to provide vertical lift and a pair of swiveling wingtip fans for stability and control during hover and for propulsion during forward flight. Earlier this year, the first prototype of the LightningStrike, Darpa's vertical take-off and landing experimental aircraft project took to the air - and maybe of its capabilities could be in the new craft. The mysterious X-37b spaceplane has captured the imagination of many, with some suggesting it is a spy plane and others who think it could be a space bomber. But now its big brother is one step closer to being built. Boeing's Phantom Swift was a Boeing Phantom Works program that was being developed for the Defense Advanced Research Projects Agency (DARPA) under the VTOL X-Plane competition - but was ultimately beaten by Aurora's entry. 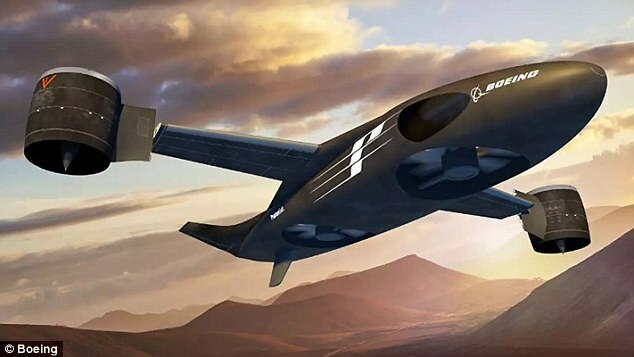 The design leverages two large fans buried in the aircraft's fuselage to provide vertical lift and a pair of swiveling wingtip fans for stability and control during hover and for propulsion during forward flight. The idea is to have one or two General Electric CT7-8 turbines produce power to drive all these fans electrically, although an early prototype might not include a full hybrid electric drive system. Boeing says this configuration is far more efficient than a normal helicopter and DARPA's original design goals included hitting speeds beyond 300 knots and carry 4,000lbs. 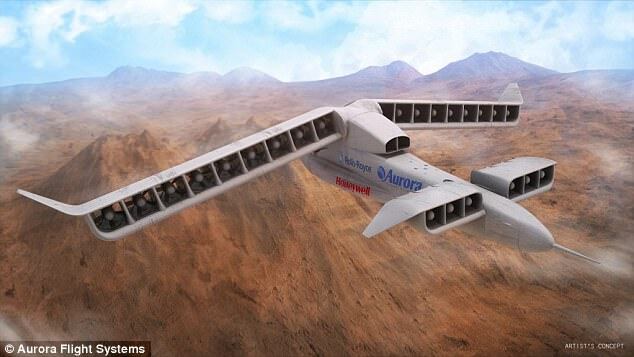 Aurora, the firm recently bought by Boeing, was developing a radical 'hairdryer' VTOL that could form the basis of the new craft. Achieve a top sustained flight speed of 300 knots (556 km/h) to 400 knots (741km/h). Raise aircraft hover efficiency from 60 per cent to at least 75 per cent. Present a 'more favourable' cruise lift-to-drag ratio of at least 10, up from 5-6. Carry a useful load of at least 40 per cent of the vehicle's projected gross weight of 10,000-12,000 pounds (4,500-5,444kg).